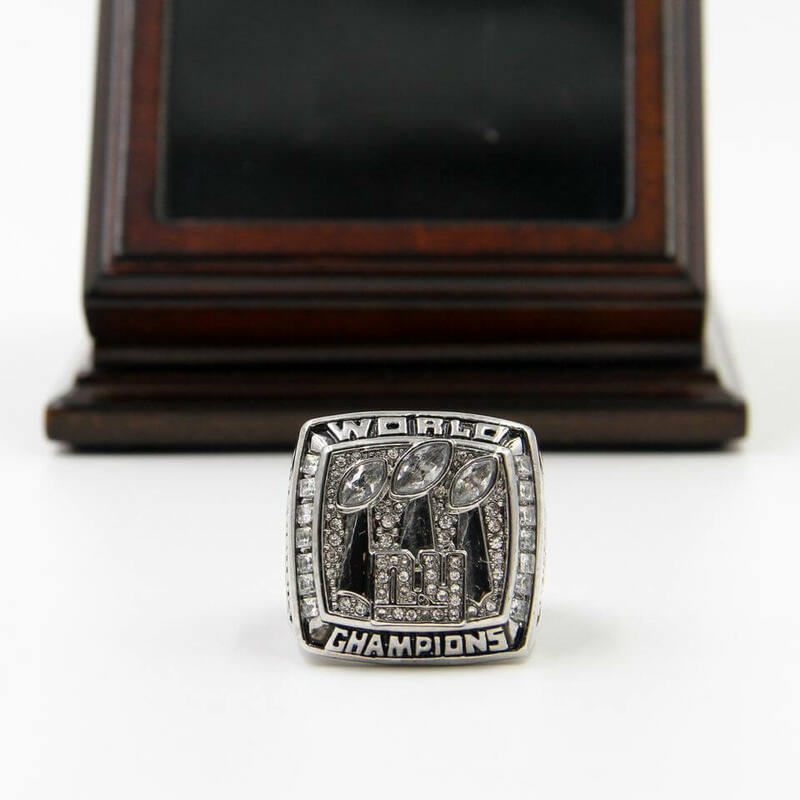 NFL 2007 Super Bowl XLII was started on 3th February in 2008, between NFC champion New York Giants and AFC champion New England Patriots to decide the NFL champion for the NFL 2007 season. 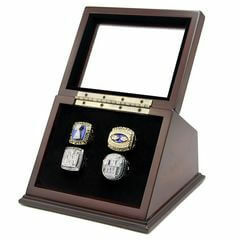 The game played at University of Phoenix Stadium in Glendale, Arizona. 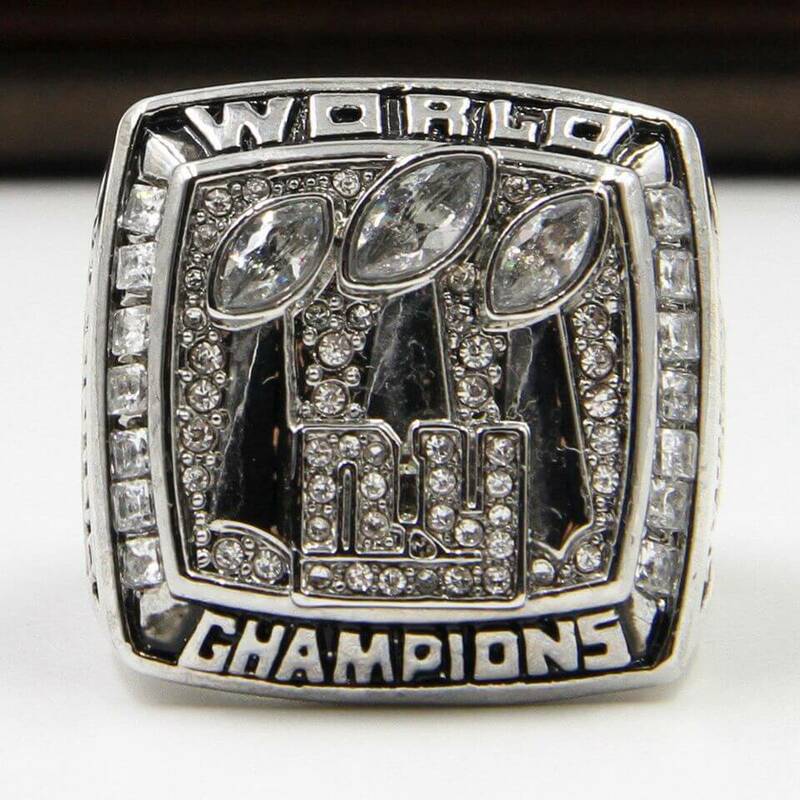 Finally, New York Giants defeated the New England Patriots by 17:14, and won the third Super Bowl, Quarterback Eli Manning was named MVP in Super Bowl XLII. 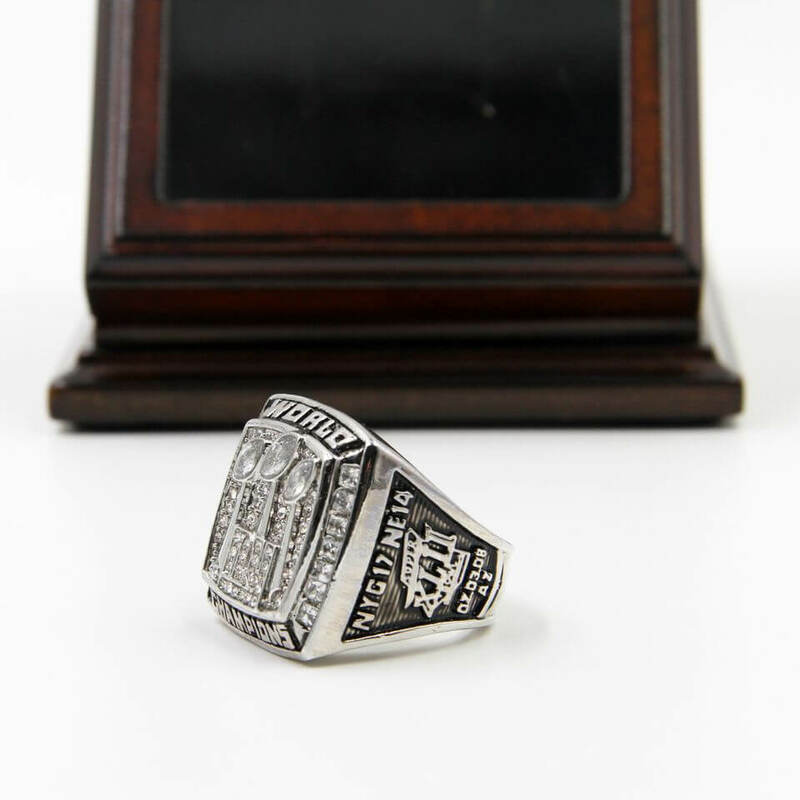 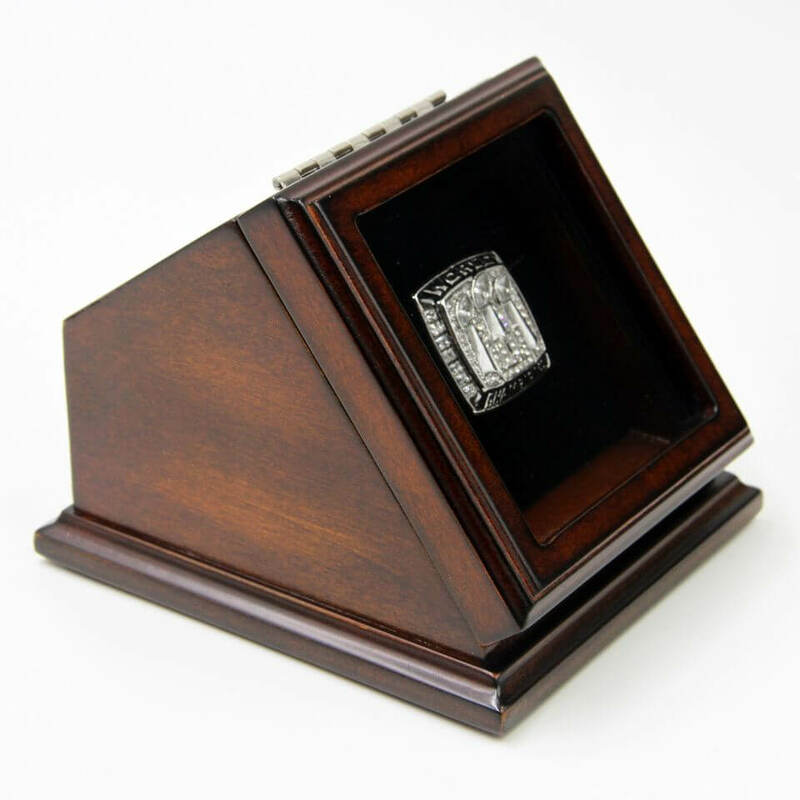 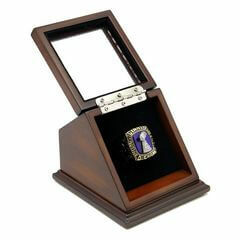 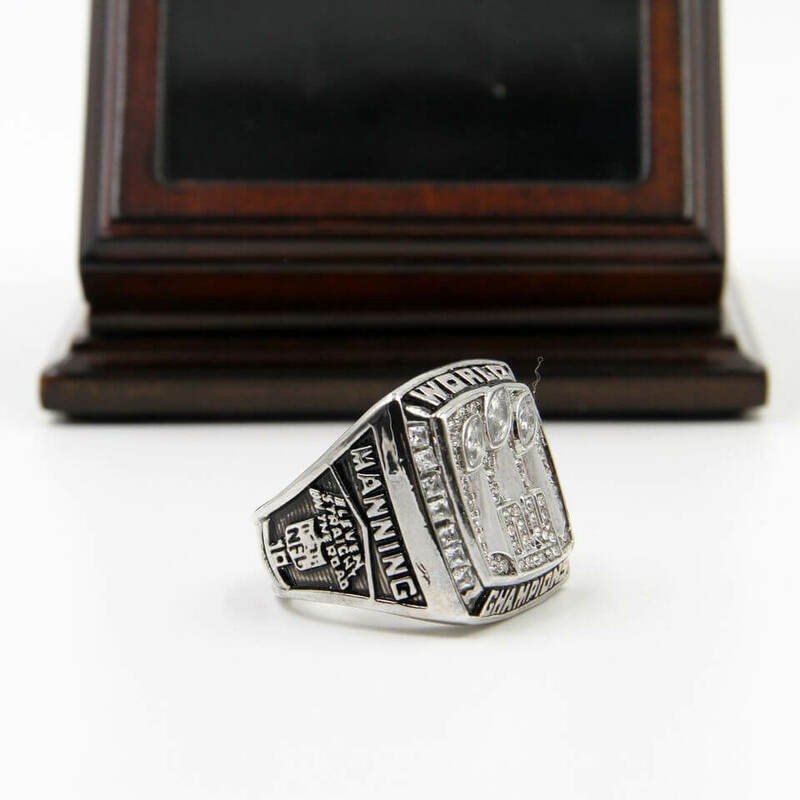 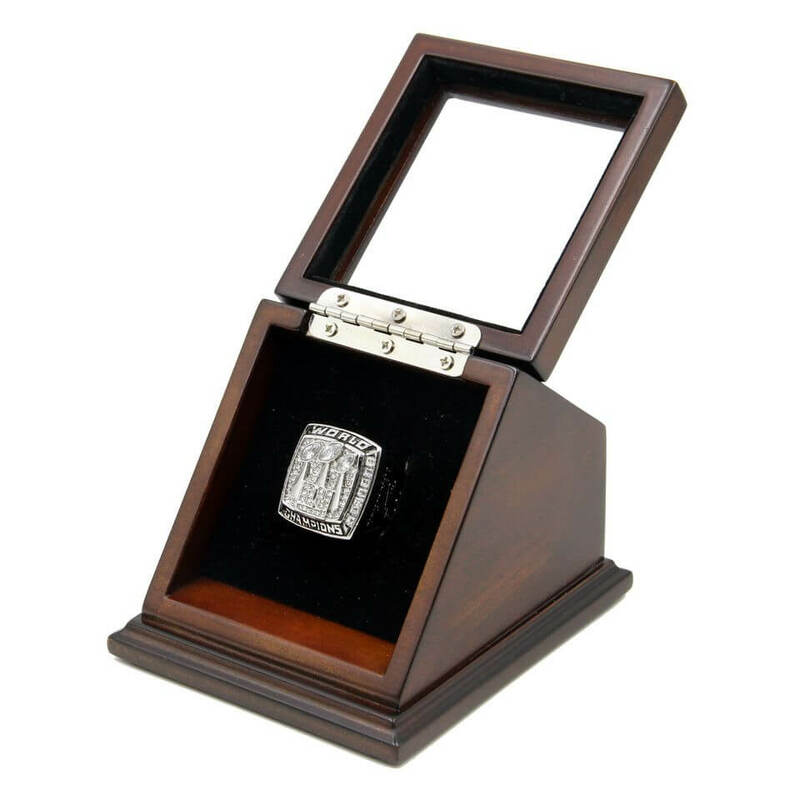 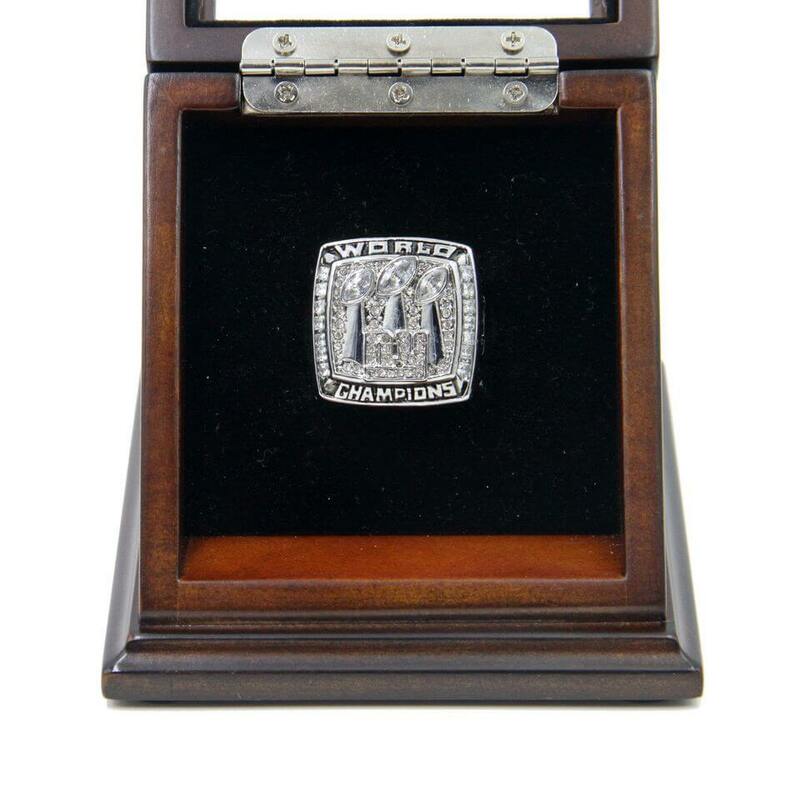 Manning’s name is on the side of the 2007 Super Bowl rings plus a beautiful wooden display case is a unique and a great gift for most of the New York Giants and Eli Manning fans and it is a fantastic collection for you to remind the great moment at Super Bowl 2007.